In our line of work, House Clearance Ayr sometimes come across tragic human stories. For example, a woman called us one day in quite an emotional state, as her mother had just passed away. Obviously, her grief was one factor in her being upset, but another was that her father had rather gone off the rails after her mother had died some years earlier. He had actually broken links with his family in Ayr, while he continued to live alone in the family house, a three-bedroomed suburban semi-detached property with a garden in Ayr. 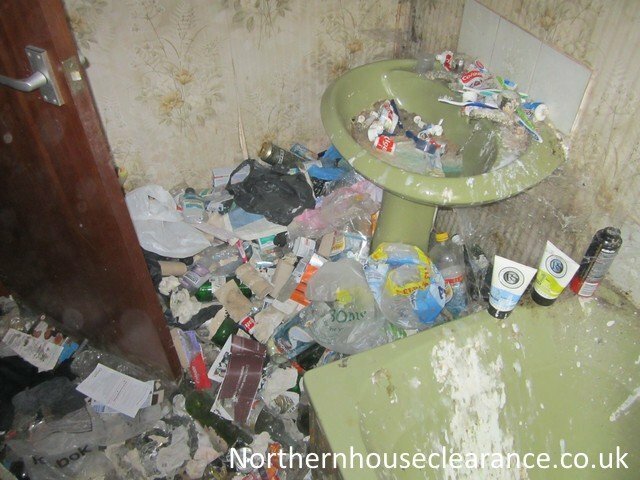 Over the years, he had become a hoarder and now the woman and her brother urgentley neded our house clearance Ayr team to clear the full house. It was stuffed with rubbish, junk and old furniture, with some rooms so full they could hardly be entered. The garden was like a jungle. When we went to inspect the house clearance, it was one of the worst examples of hoarding we’d come across, and we’ve seen a few.